The primary focus of Baby on Board is on ways you can love and care for your baby during the most vital time in a child’s development – the first few months. In this third edition of his successful book, leading Australian baby expert Dr Howard Chilton presents parents with all the information they need to be confident about looking after their new baby. He refers to the latest international medical information so they understand the reasons behind the advice. Not just the HOW but the WHY. The primary focus of Baby on Board is on ways you can care for your baby during the most vital time in a child’s development – the first few months. 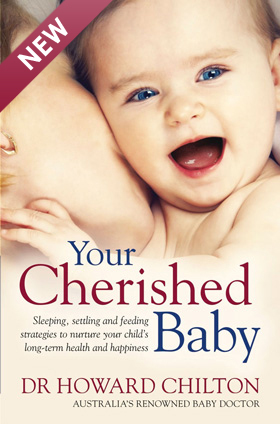 In this third edition of his successful book, leading Australian baby expert Dr Howard Chilton refers to the latest international medical information to offer clear, pragmatic advice about how to love and care for a newborn baby in the first weeks and months and beyond. One issue that causes parents the most anguish – how to settle their distressed and crying baby – is explored in detail. Written in an accessible and frequently humorous way, Dr Chilton explains the fundamentals of parenting based on science and his thirty years experience as a neonatologist. He also explores the fascinating subject of how babies evolved over the millennia, what they perceive and how they are programmed for survival. Packed with practical advice it gives you not only the HOW but also the WHY. 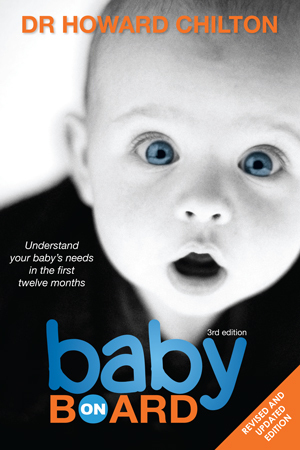 Baby on Board is a must-read for all expectant mums and dads, grandparents and carers.